FAQs / Why is my child doing exercises that are below their current level? 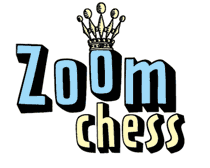 ZoomChess measures your child’s response time and error rate to determine what their ability actually is. In the beginning, it is figuring out how much your child knows, and where the “holes” are. Certain concepts must be mastered before progressing. If your child thinks the material is too easy, make sure they are not rushing through the exercises. Careless mistakes count as mistakes, and are factored into the playing level.